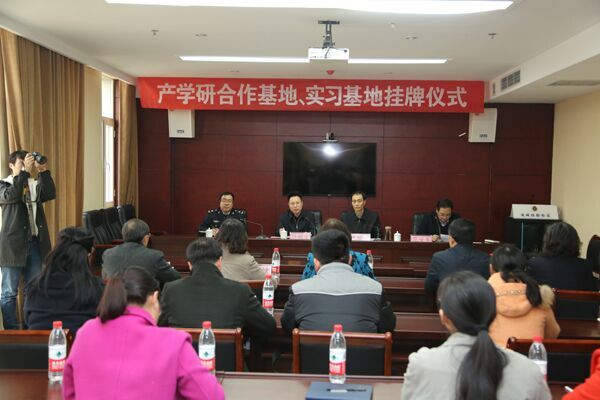 Ceremony of Industry-University-Research cooperation between Bureau of Entry-Exit Inspection and Quarantine of Yuncheng Municipal Government and Yuncheng University and Foundation of YCU Practice Base was held at Bureau of Entry-Exit Inspection and Quarantine of Yuncheng Municipal Government on 30th November afternoon. President Xue Yaowen of YCU, Section Chief Hu Weiping of Cooperation & Exchange Office, YCU, Dean Gong Qianjuan of the Department of Applied Chemistry, YCU, teacher representatives from Department of Life Sciences YCU attended the ceremony. 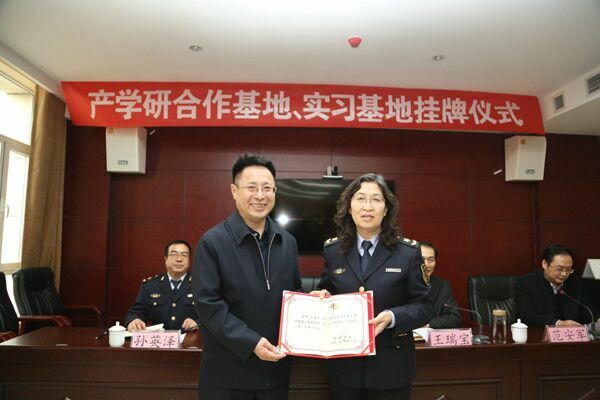 The ceremony was hosted by Fan Anjun, Deputy Secretary of the standing committee of CPC Yuncheng. 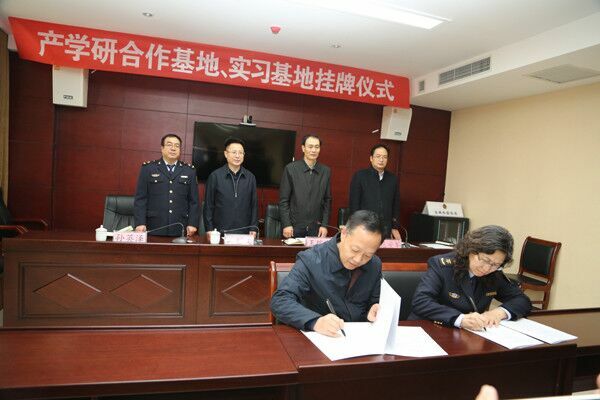 On behalf of both sides, Section Chief Hu Weiping and Deputy Director Shi Hongdi of I.Q of Yuncheng signed the cooperation agreement, and unveiled the nameplate of Industry-University-Research cooperation with Sun Yingze, the director of I.Q of Yuncheng. 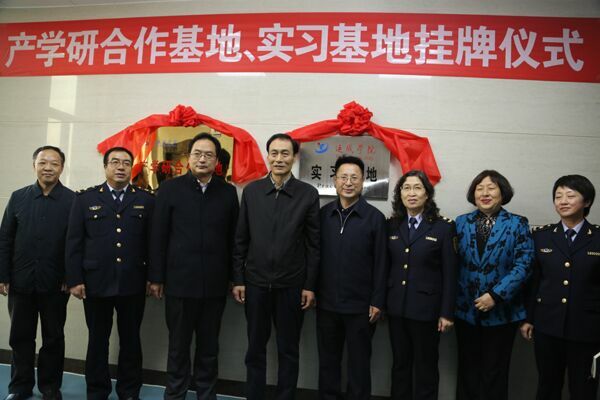 Dean Gong Qianjuan and Deputy Director Shi Hongdi unveiled the nameplate of the Practice Base. President Xue Yaowen of YCU issued an appointment letter as a Visiting Professor for Shi Hongdi. Director Sun Yingze said in his speech that the cooperation with YCU is a significant matter to build Industry-University-Research cooperation and the practice base with YCU, and I.C. of Yuncheng will utilize the theoretical and technical advantages to improve their detecting techniques, and offer a platform for academic research and students practice to realize a win-win development. President Xue Yaowen expressed congratulations on the foundation of the base. He said it has been YCU’s pursuit and duty to provide service for local economic and social development, and YCU has always take the contribution and support to local economic and social development as a yardstick for measuring its education. The foundation of the base and the cooperation between the two sides will definitely be a platform to share resources, to complement each other’s advantage, and to build win-win Industry-University-Research cooperation, which will promote qualified practical talents cultivation of YCU, to promote the innovation capability and technical merits, thus to speed up local economic and social development of Yuncheng. The departments concerned in YCU should take the chance of the foundation of the base to proactively connect the education to the utilization, and be open-minded to learn from I.Q of Yuncheng and to strengthen the cooperation to build the base as a shining program, on which further promotion of and wide cooperation in teaching, academic research and service for the local development can be based. Wang Ruibao, the Deputy Party Secretary of Yuncheng Municipal Committee and Secretary of Yuncheng Educational Worker Committee, approved the contributions made by both sides to the economic and social development of Yuncheng, and congratulated on the cooperation between the two. He said the cooperation is of great significance in the opening up of Yuncheng and is a specific implementation of the general development strategy of Shanxi provincial Party Committee. He hoped I.Q of Yuncheng will utilize the resources, research facilities, inspection techniques and learn from professors and experts of YCU, to make contribution to the development of local economic and social development, especially in the field of export-oriented economy development of Yuncheng. And he also expressed hope that YCU can utilize their academic merits to connect with Bureau of Entry-Exit Inspection and Quarantine of Yuncheng Municipal Government and strengthen comprehensive cooperation in the construction of Shanxi Provincial agriculture products export-platform and manufactured products export-platform to gain mutual benefits. 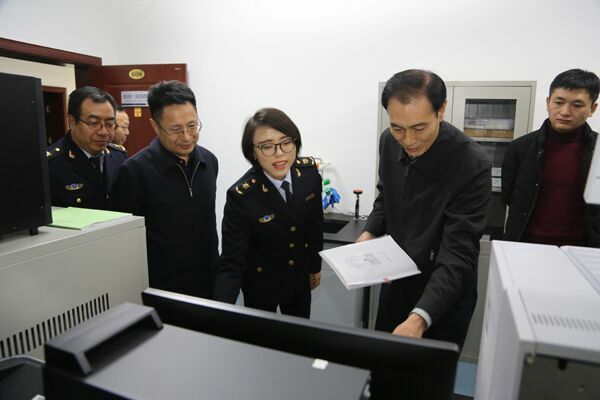 After the ceremony, leaders and guests visited the technical center labs of Bureau of Entry-Exit Inspection and Quarantine of Yuncheng Municipal Government.